I am sure that everybody out there knows how much I love the Maybelline Lash Sensational Mascara. It has been my go to mascara for so long time and I didn’t think that anything would be able to top it. But, then I discovered the YSL Shocking Mascara and it completely changed my mind. Even though I quite clearly love makeup. I just thought that a mascara was a mascara and they all did the same thing. I didn’t see how one could be £4.99 and another £30 when in the end they all make your lashes look longer, thicker and black. But, curiosity got the better of me and the magpie part of me wanted to try the YSL Shocking Mascara out purely because of the shiny tube! I guess I was a little ignorant to how good higher end mascaras can be. In my opinion the YSL mascara is honestly one of the nicest makeup products that I have used, not just in mascara, but across all makeup products. Now that I have tried this out for myself, I really cannot see myself using another mascara for a very long time because this has gone to the top spot. 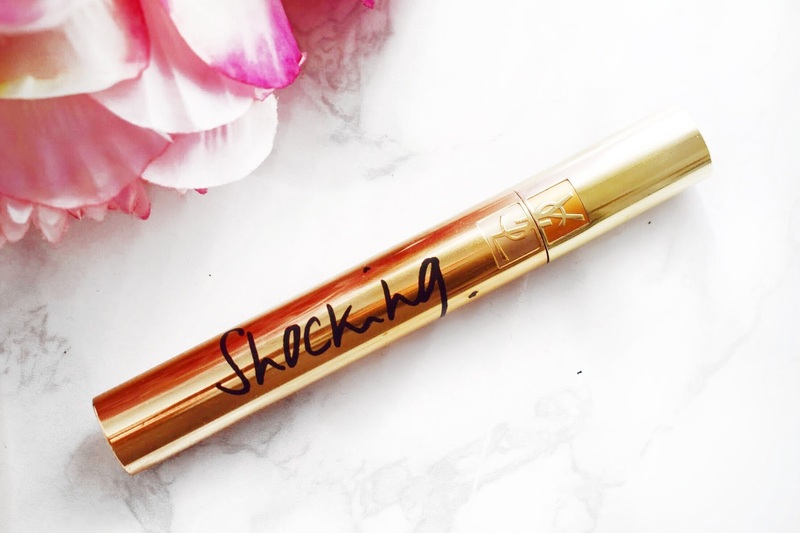 Don’t get me wrong, I do still have my Maybelline Lash Sensational Mascara and I find myself still reaching for it, but the YSL Shocking Mascara is by a mile my most used mascara and I have been loving it recently. First up in this review of the YSL Shocking Mascara, I just want to mention the packaging for a second. When I pay this much for a product I at least expect it to look nice and it is safe to say that this product is simply stunning. It looks just like the YSL Touché Éclat, which is also a truly stunning product. I love how at the top is the little embossed YSL logo and then the ‘Shocking’, looks like it has been handwritten. It really is a high end luxurious product that I like to have in my collection. Plus, the blogger side in me loves this product because it looks great in photography! This mascara I find does have that classic YSL scent. You will know what I mean if you have used one of their foundations or other products that they all have a distinctive scent and that is the same for this mascara. I was a little dubious at first about putting something so heavily scented around my eyes, but I have been using this for weeks and had no issues with it. If you are somebody with sensitive skin, it might be worth thinking about and looking into before going ahead and spending your money on it. When you pull the wand out of the tube on this mascara it looks very wet like there is a lot of product on the spooly but when you apply it to your lashes it doesn’t seem like it is too much. It is just enough to give the lashes a nice thick coating. When I apply a coat of this and allow it to dry and then add another it just looks so nice and full and it lets me get away with not wearing any false lashes. I find that it really lifts and lengthens my lashes and they end up near enough touching my eyebrows because they are that long. I also find that this sets into place really quickly and I don’t have to worry about transferring. I really think this mascara is really stunning. It is top of the pile for me at the minute and I have been reaching for it every single day without fail. I am sure that I paid £25 for this mascara and I think that is the perfect price for a product of this quality. As normal with all posts here on my blog, I will leave a link to this down below in case you want to check it out for yourself. Make sure to leave me a comment and let me know if you have tried this YSL Mascara and tell me what you thought about it! I really want to try the new one too, I am a sucker for anything new from YSL! I really want to try this mascara and seen as I'm a lover of the Maybelline Sensational, maybe I'll love the YSL shocking too! Lovely post. I love the Maybelline Sensational, it is the best drugstore mascara that I have ever used! Great review! I loved my Dior mascara and I want to try the YSL one but for me the Dior has too much fragrance in them. I know the fragrance in Dior and YSL is there so you know when the smell goes away it's time to replace your mascara but for me the smell is just to strong. I am always really cautious about fragrance in mascaras but I don't find this too much! This YSL shocking Mascara review is really awesome. 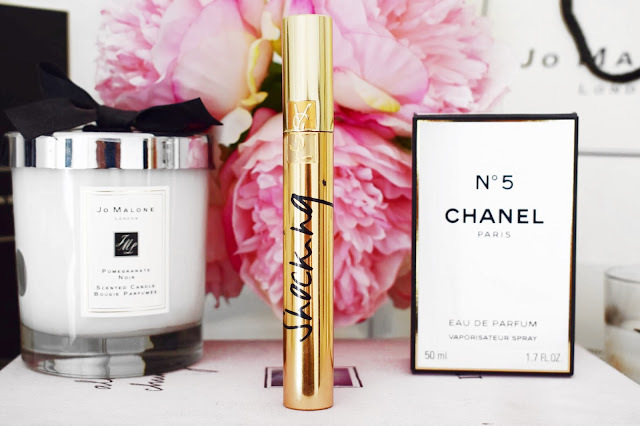 Thanks to share this beautiful YSL shocking Mascara review. It's really helpful for eye makeups. I believe makeup is an important part of women's life. I love to use mascara like this one for my eye and my favorite Liquid Matte Lipsticks for my lip. I can't imagine a single day without my makeups. This really is a great mascara, it has quickly become a staple in my makeup collection!